An obvious sequel to the painting above, Smoke 2 has more variation in both line and colour. I used a different paint, one that’s a mix of greens, and varied the technique as well. 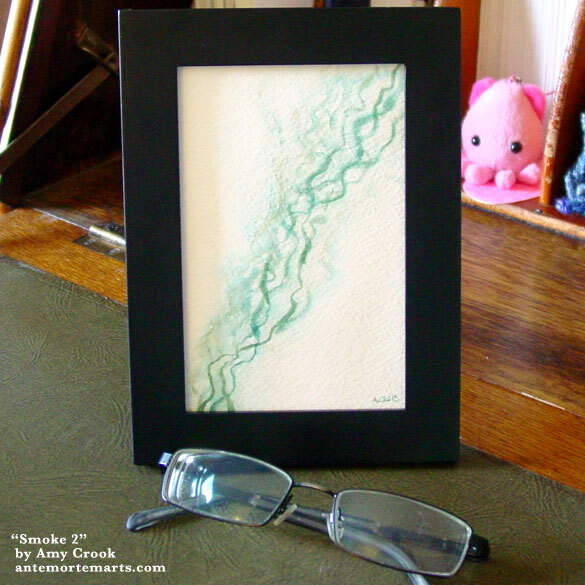 Where the first painting is full of roiling clouds, this smoke drifts up in lazy lines. It reminds me more of an altar with thin sticks of incense burning at different rates, each one sending up its own cloud of colour and scent. 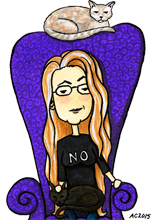 I don’t smoke myself*, but I always did love incense and candles, and the different strange shapes that occur when two insubstantial elements interact, air and smoke dancing together to create something ephemeral and beautiful. 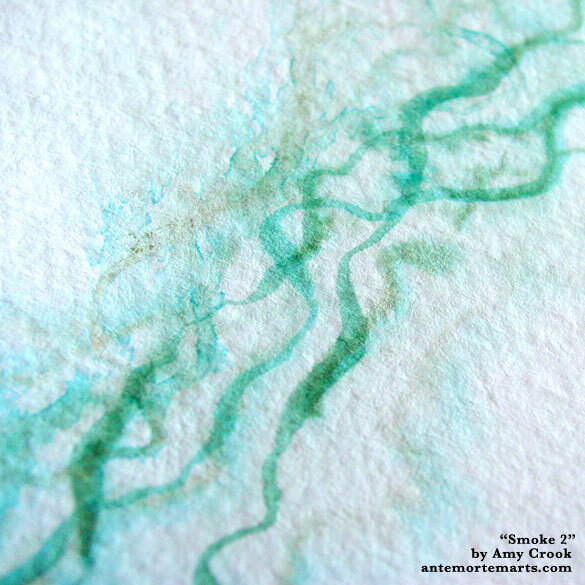 Smoke 2, 4″x6″ watercolor on paper. 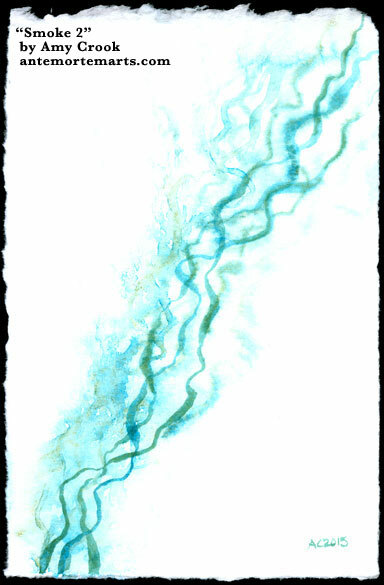 Above, you can see the variation in colour from blue-green to forest green to olive, dissolving in wisps that are just barely visible on the thick, creamy paper. Below, the piece is in a frame, small and unassuming, but perfect to bring a little beauty and peace into an otherwise drab space.